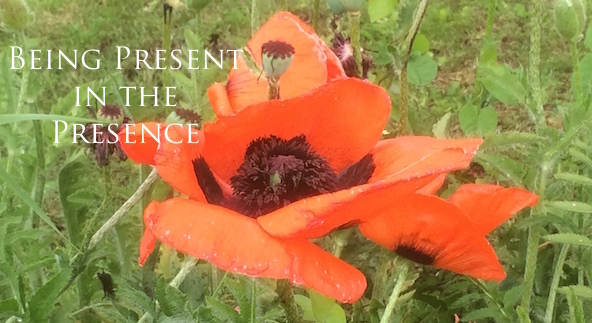 ‘BEING PRESENT IN THE PRESENCE’: Meditation Retreat: July 10-15. MEDITATION RETREAT: BEING PRESENT IN THE PRESENCE: July 10-15: Facilitator Brendan O’Rourke C.Ss.R. A 6-day retreat (residential or non-residential). We begin with tea on Sunday at 6pm and finish with 1pm lunch on Friday. There will be a balance in the days, time for rest, for some light exercises, quiet time, relaxed time for eating and sleeping, exercises in mindfulness, and some short inputs on meditation and being awake to the present moment. We will have some group meditations in silence. Other meditations will be facilitated by Brendan and will have themes such as: Grief, Forgiveness, Pain, Healing, Facing our Death, Opening our Heart. We will also have an active imagination meditation, consulting our inner wisdom, movement and music meditation, and walking meditation. We will do easy-to-manage body exercises and breathing exercises (suitable for all ages). Each participant will be invited to participate at their own pace and energy level. These days are an opportunity to come and rest, reflect, and be refreshed in body and spirit. Participants will enjoy good food and a warm, homely house. Our location is in the heart of the countryside, and provides wonderful walks, and silence only broken by our abundance of birds, sheep, cows, and our country-church angelus bell. The Esker setting helps us re-connect with ourselves, and with nature, and with the heart of life. Esker has been a soul-space for at least 300 years, within the Christian tradition, but with a welcome to anyone in their life’s journey. If you are a person of faith, you are welcome. If you have no religion or faith you are also welcome. You don’t have to be a “spiritual professional” to come on this retreat. Women and men, gay or straight, young or old, single or in a relationship, all are welcome. Depending on the numbers of participants, Brendan will be available each day for a period of time to meet with those who want to talk with him. Outside the schedule of the retreat there is a daily Mass and this is open to anyone who would like to participate. The retreat will be facilitated by Brendan O’Rourke, C.Ss.R. Brendan is a Redemptorist Priest, Rector of Esker Monastery and Retreat Centre. Brendan has given many retreats, seminars and courses throughout Ireland, and has also worked in the Philippine Islands and the United States. Brendan also works as a psychotherapist, since qualifying in 1987, and is accredited with the Irish Association for Counselling and Psychotherapy. Together with his Christian faith, since his years in New York City, Brendan has found himself inspired by the heart and wisdom of some Buddhist teachers, and he has also recently found wisdom and challenge in a workshop and retreat conducted by the Austrian teacher and mystic, Thomas Huebl. Sunday, July 10, 2016 arrival after 4.30pm. Cost: €400.00 residential. €220 non-residential. ← Big Day for Redemptoristine Nuns. Beatification of their Foundress, June 18th.